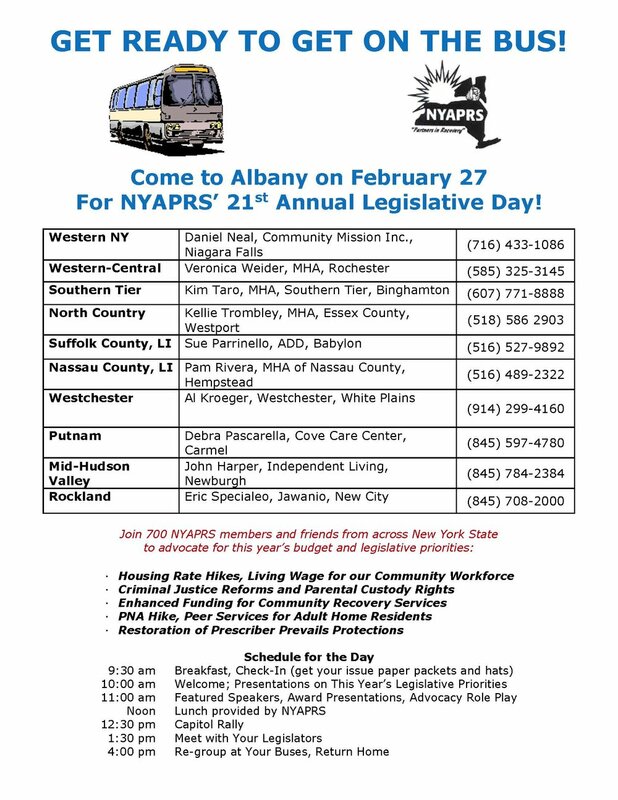 Still a Few Seats Left to Get on the Bus to NYAPRS' Feb 27 Albany Legislative Day! NYAPRS Note: While all 7 of the NYC buses are now full, there are some seats available on the 10 buses that will be coming from the rest of the state and Long Island. See below for bus contact people. We’re expecting 700 hearty advocates next Tuesday in what is expected to be sunny 56 degree weather. See you then!